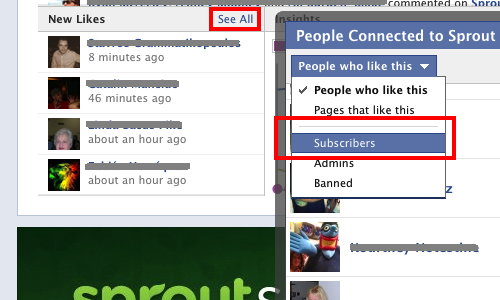 Facebook Page admins now have a way to find out how many subscribers are following their posts. When the social network rolled out Interest Lists in March, it gave members the option to subscribe to content without actually Liking the Page. However, Facebook didn’t give you the ability to track how many subscribers you have. Individuals can subscribe to your Page by clicking on the drop-down arrow next to the Like button and selecting the option “Add to Interest Lists.” In July, Facebook began testing a “subscribe” button on Pages, but we haven’t seen it launch publicly yet. While this doesn’t appear to be a new feature, it’s not the most obvious metric to track. Currently you can see who has recently Liked your Page from within the Admin Panel. If you click “see all,” a window will appear that allows you to see all of your subscribers as well. Through this method, you will also be able to see which other Pages have Liked yours. However, if you’d prefer not to have to tally your subscribers manually, you can also find this metric in the Overview section of Insights next to Weekly Total Reach. At this time, it doesn’t appear that you can see which Interest Lists you’ve been added to. It will be interesting to see how Facebook plans to use subscriptions and whether it will have any influence on advertising or targeting in the future. 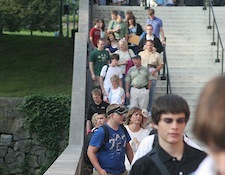 For now, this is just another way for you to measure your reach on the social network.